This hostel is quite good and seemingly the best option in town. For a dorm bed, its a bit overpriced, however its close to the beach and has some wonderful and very helpful staff! the owners are absolutely AMAZING! Incredible water pressure and quite clean! We would come back and stay here again for sure. A nice escape from the cities of El Salvador. 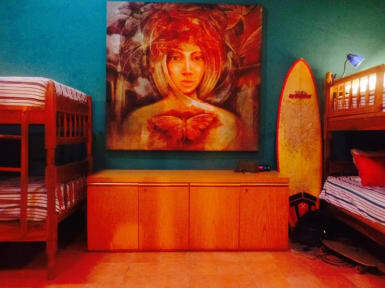 This quaint hostel is centrally located and provides a simple travel experience. The dorm was clean, cool and spacious. There is a nice communal area and well-equipped kitchen. Staff were friendly and helpful. Hostel is all in all good, super homey feel. It gets a bit hot at night but everyone backpacking central should be used to that by this point. Shower pressure is unreal. The staff is helpful but only speak Spanish so if you're like me and ill-prepared have Google translate ready to go. El cuco is super quiet so the hosts atmosphere reflected the same. The kitchen is great! Fresh fruit and veg sold next door to. Not a bad budget place to stay in el cuco (not that there are many options). The hostel was kind of similar to the whole town... Had potential to be great or was great at one time, but is only ok right now. If you are not into surfing or swimming (Sidenote: I do like to swim) there isn't a whole lot to do. 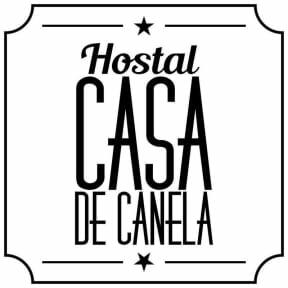 The hostel was resonably clean and the staff was friendly. Avoid the over-priced beverages in the fridge as you can easily purchase the same items at a nearby shop for a fraction of the price. Pros: The location is fantastic if you want to be near the beach but you don’t want to be too isolated. Also the beds are very comfortable. Cons: the guy at the front desk didn’t seem to know anything. When I asked him for the bus schedule, he told me that the last bus left at 8; I later found out that the last bus left at 4 and I had to pay a private taxi to get to San Miguel. The guy later admitted that he didn’t know the bus schedule. 1) it’s his job to know, 2) why would he lie?